All we have are nice grottoes. I’ll take a hotel if that’s all there is. 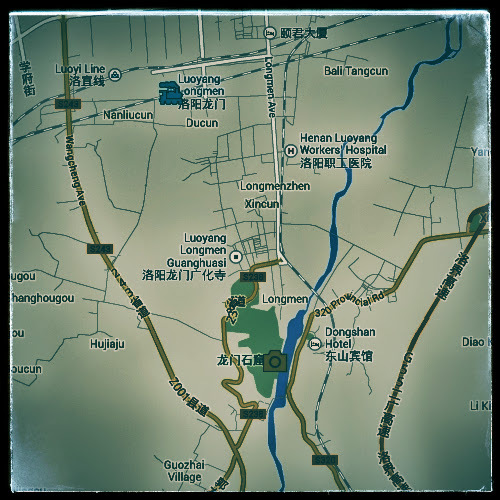 The town I spent the next night in was Luoyang (洛阳). It’s known for its grottoes. I stayed in a semi-fancy hotel. 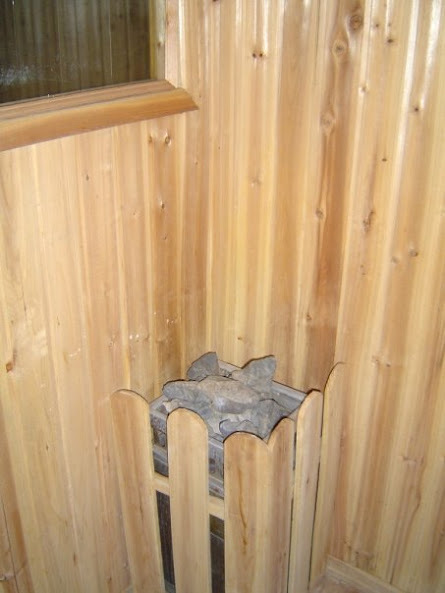 The room even had its own sauna. 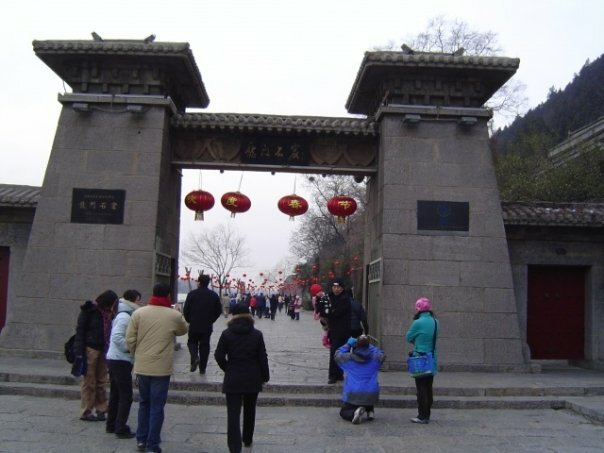 In China fancy hotels are very cheap at about 30~40 USD per night. Although I only stayed in hotels on this trip I recommend staying in hostels in China whenever possible. This was my first real solo trip, and I was still a novice. “Why stay in a hostel rather than a hotel?” you might ask. Because, hotels cater more to Chinese travelers who usually travel for business. They tend not the have any information about touristy things. Some don’t even have English-speaking employees. English is the international language of international traveling. Hostels, on the other hand, all cater to sightseeing travelers. They usually have at least one half decent English, French, or German speaker employed. There are tons of pamphlets, in English and other languages, about all the great stuff there is to do in town and nearby. 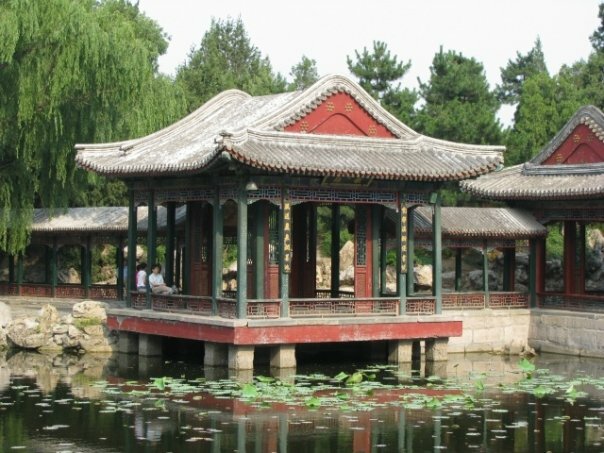 Most have information on sister hostels in other towns across China, making it easy to find your next hostel. You can book tours at a hostel and meet other travelers. But most importantly, you can buy train tickets at any hostel in China. Whereas at a hotel, they will look at you as if you are spirit-catching mad when you ask to buy train tickets at their front desk. You might be thinking, “But I’m not interested in sharing a room with hippy-smelling backpackers or snoring German tourists!” That’s okay. Most hostels have single rooms with an en suite bathroom. You don’t have to share a room. That evening when I checked in, I wanted to have food brought up to my room, but there was some problem. I don’t remember what it was now, but one of the staff ladies walked me through the hotel to see the custodian. He was the only one at the hotel who could speak English. The matter was quickly cleared up and I spent a long time talking to Mr. Handyman. 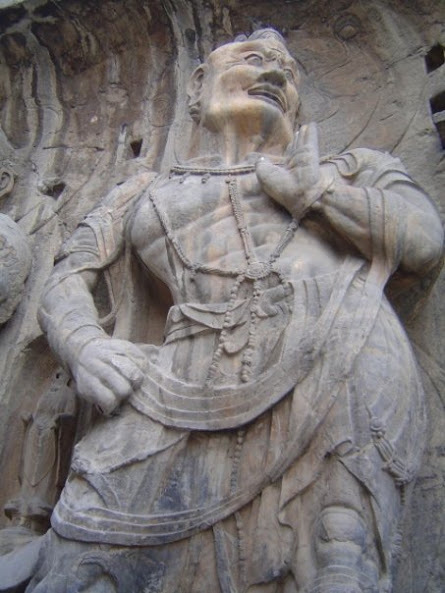 He used to live in the states and he wanted to go back, but he also didn’t want to leave China. “When I’m here I miss America. When I’m there, I miss China,” he told me. 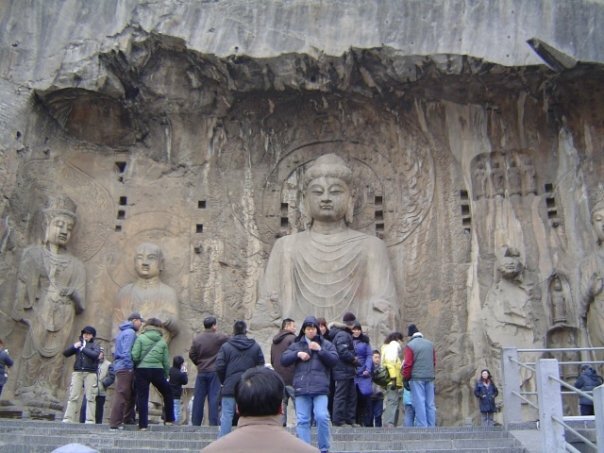 From downtown Louyang I took public bus number 81 to the Longmen Grottoes. It took about one hour to get there. This was where I saw my first unashamed peeing on a city bus. It was freezing that day. 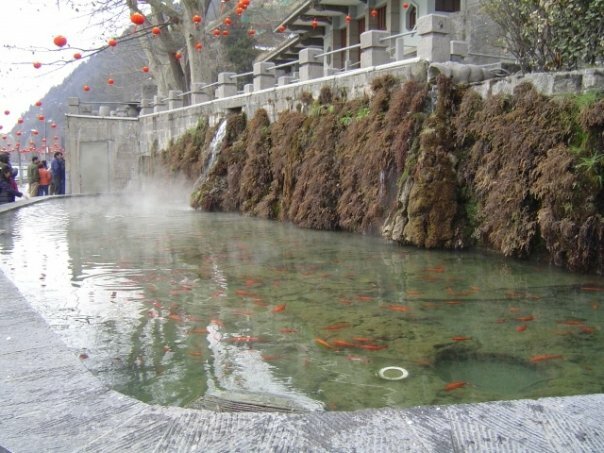 I remembered passing a steaming pond of fat koi fish. I wanted more than anything else in the world to jump in and warm up. I had never been so jealous of fish in all my life. 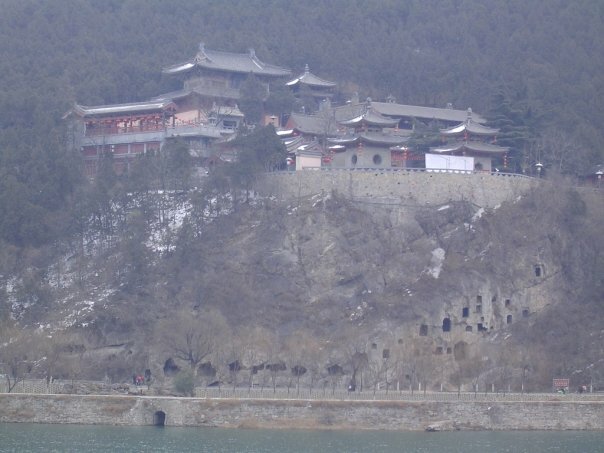 China in the winter is cold. No, not just cold… It’s a level of freezing that I have never felt before or since. No one has the heater turned on. It is cold outdoors, indoors, in fancy hotel lobbies, in internet cafes, in restaurants, in train stations, on buses, everywhere! The sauna in my hotel room: The only place I could warm up. I was ready to get on my 12:37 am train by 9:30 pm. I shivered in that train station for hours. I was so tired by the time the train came I didn’t even take any pictures of my epic first Chinese train ride. I boarded the train and asked a lady in uniform to help me find my bed. She took my ticket to looked at it and showed me to my berth. There was a man fast asleep in it already and she slapped him to wake him up and told him to leave. I wondered for a few seconds how clean the sheets were since they were obviously used, but I was too tired to keep that thought for long. I put my backpack at the head of my bed and then I collapsed next to it. I was completely unconscious for the whole ride. I didn’t even get up to pee during the night. The next morning someone woke me up in time for me to get off at Xi’an and handed me my ticket. That was when I realized that I had not even bothered to find out how to know when I’d reached my stop. I put on my shoes utterly amazed at my carelessness, and got off the train. Later I learned that in China, in the sleeper cars at least, a train official comes by and takes the tickets of passengers who have just boarded. Passengers get their tickets back about ten to twenty minutes before the train gets to their stop. That’s when the person in charge of the car goes around and wakes up all those who are to get off at the next stop. This gives the riders plenty of time to get dressed and be ready to disembark. I guess the lady who showed me to my bunk, kept my ticket so that she could wake me up later on. I didn’t even notice that she didn’t give the ticket back after showing me to my berth. Use the map below to ask for bus stops. Take either the #81, #60, or #53 bus. The website for the grotto is a bit hard to understand. The English there may have been the result of using an electronic translator. The website seems to be down. Maybe it will be working again in the future.